Renowned for their crus and fine French wines, Les Domaines Paul Mas proudly won 50 gold medals in 2013, which have marked again a successful year for the Domaines, with more than 300 over 3 years. Jean-Claude Mas, owner and winemaker of Les Domaines Paul Mas, aims to further develop its wine activities in Asian markets with the opening of a new office in Hong Kong. Strategically located at the heart of Asia, Hong Kong has built a reputation as a wine trading and distribution hub which is a natural gateway to new economic opportunities in Mainland China and the rest of Asia. Asia represents today 27% of DPM sales. He will pay a special visit to Hong Kong to have contact with media and to meet up with wine professionals next November. In fourteen years, Les Domaines Paul Mas have become a reference for Southern French wine, integrating Old World wines with New World attitude and creating a genuine style. Its 8 Estates cover over 452 ha, out of which 440 ha of vineyards, spreading across the Crus of the Languedoc: Pézenas, Grés de Montpellier, Terrasses du Larzac and Limoux. All of the vineyards have earned the “Terra Vitis” signature, the stamp of French winemakers created in 1998 to certify those who respect nature and apply sustainable agriculture. There are seven main brands under the same corporate which include Paul Mas, Arrogant Frog, Côté Mas, Prima Perla, Jean Claude Mas, Domaines Astruc and La Forge Estate. Domaines Paul Mas is a private company which produces its wines from its own vineyards or contracted vineyards (1.5 millions cases in 2014). A unique model: We integrate the 5 know-hows which are the DNA of the vigneron: viticulture/winemaking/blending and ageing/bottling/sales and marketing. 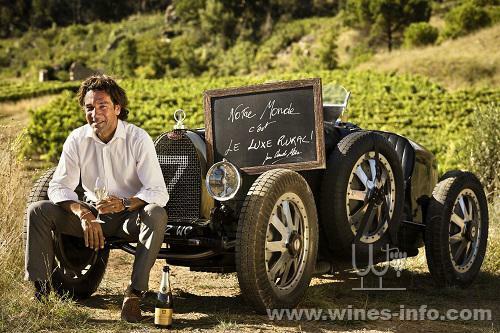 In 2013 Les Domaines Paul Mas produced over 112 000 hectoliters, which make it the largest private winemaking company (except Champagne) in France. 97% of the production is exported to 58 countries, including Japan, the Netherlands, UK, Canada, Australia, Germany, Belgium, Italy, USA and Scandinavia, some of which witness Les Domaines Paul Mas ranking no.1 imported wine. The production of authentic and affordable wines has not only been valued by the public as “everyday luxury”, but also been highly recognized in the industry. Last year, they have won more than 50 awards that include Syrah of the world in 2013, Top 10 Best Chardonnay of the world 2013, 13 stars in the 2014 Hachette guide, 10 wines selected in Bettane et Desseauve guide, 2013 Winery of the year by Sommelier Challenge (USA), as well as numerous medals obtained at the agricultural competition, Decanter World Wine Award and Decanter Asia Wine Awards. Meanwhile, Les Domaines Paul Mas actively promote the art of living with the creation of “Côté Mas” collection, including wines, arts, cuisine, music, website, clothes and tours, which imparts elegance and enjoyment to life. “Hong Kong and mainland China are promising strong growth for our wine sales”, Jean-Claude Mas, owner of Les Domaines Paul Mas commented on its business development strategy. 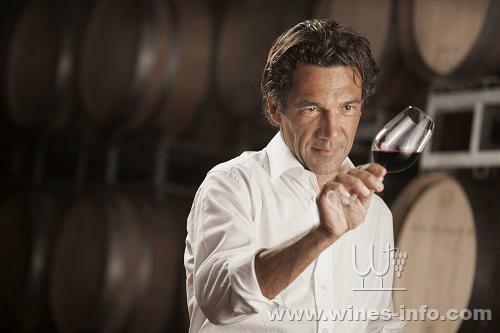 Besides his visit to Hong Kong, Les Domaines Paul Mas have scheduled to attend two major wine events in Shanghai: Vinisud Asia (Stand B28, 29-31 October 2014), the only Mediterranean Wine exhibition in China; and Prowine China (Hall 3 Stand France Pavilion, 12-14 November 2014), a world’s leading international trade fair for wine and spirits. These two events will be an ideal platform for the professionals to discover wines from Les Domaines Paul Mas and to meet up with their representatives and the wine growers.